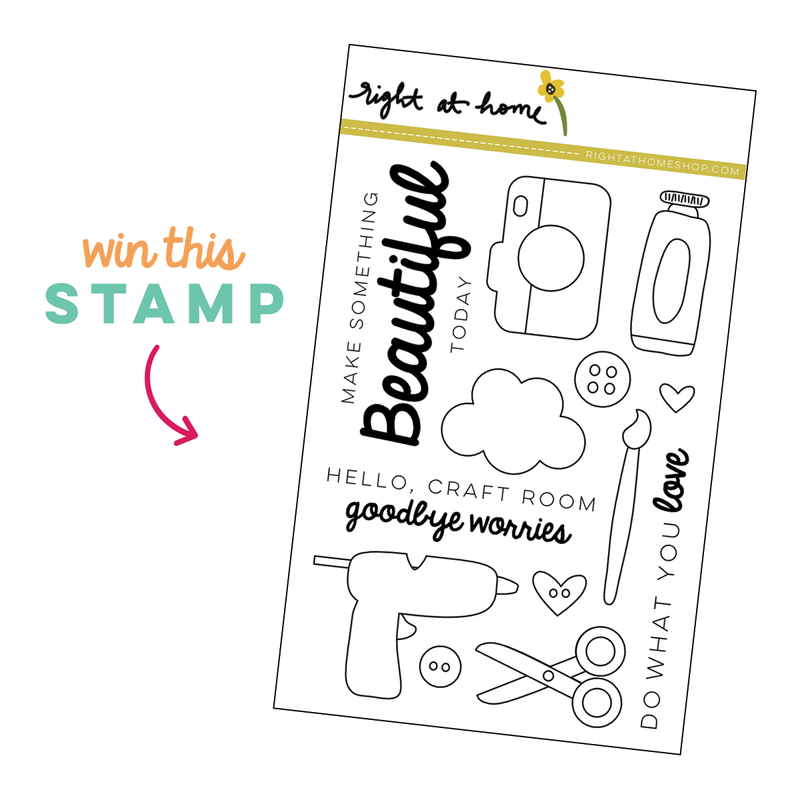 I am super excited to join Nicole from Right at Home and some crafty friends for a blog hop today. 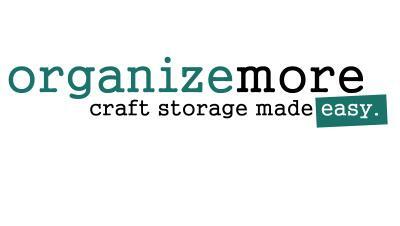 This blog hop is a celebration for National Craft Month. 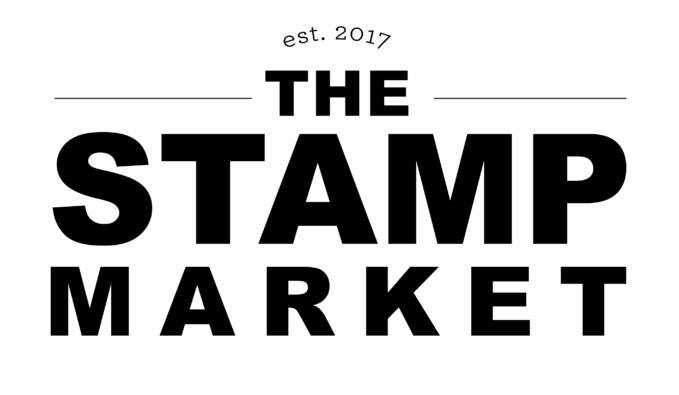 Nicole was so sweet to create this stamp set, called Make Something Beautiful, for a craft weekend we had recently and today we are all here to share! 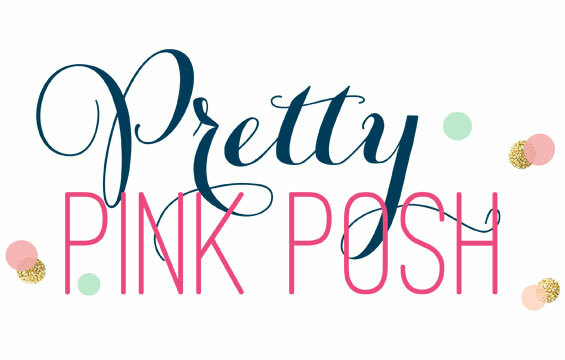 Head on over to the Right at Home blog for a full blog hop list. If you are following along on the hop, my sweet friend, Marcie sent you over. First off, I heat embossed 7 paintbrushes with white embossing powder. I used my Lyra Aquacolor Crayons and did some watercoloring with 2 different browns for each paintbrush handle. Next, I used a rainbow of colors to color each paintbrush tip and then added a little paint puddle above each brush. Seriously, super simple! I found a white frame at Hobby Lobby and added the paper to the frame. I am excited to have this sitting on my shelf to add a pop of color in my craft room! The next stop on the hop is my friend Amy S. I know she will have something fabulous to share with us! 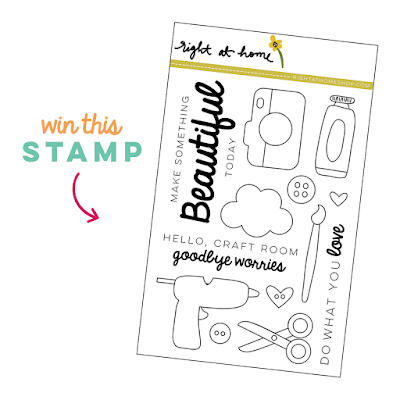 Want to win this stamp set? Head on over to the Right at Home Blog for more details! So glad you could stop in today! Hope you have a great day! ooohhh...love it laurie! What a great idea! LAURIE!!!!! I love this! WOW! It's so cute and in that white frame with a white mat...swoon. Love this! Perfect decor for your craft room!!! Gorgeous! Seriously floored by this stunning piece of art! such a fun card. could be a cute little art if you frame it. Great idea! Such a sweet and simple design :) I love it! So pretty!!! Love how you used this set!! What a pretty painting! Love the rainbow! Very beautiful colors highlighted in paintbrush form! I love what you did! So creative! Thanks for sharing! What a great project. I'm sure it will be a great addition to your craft room. Awesome design with beautiful color!! What a beautiful and happy piece of artwork for your craft studio!!! Love it!!! I love this so much Laurie!! Adorable! I love all the colors!! 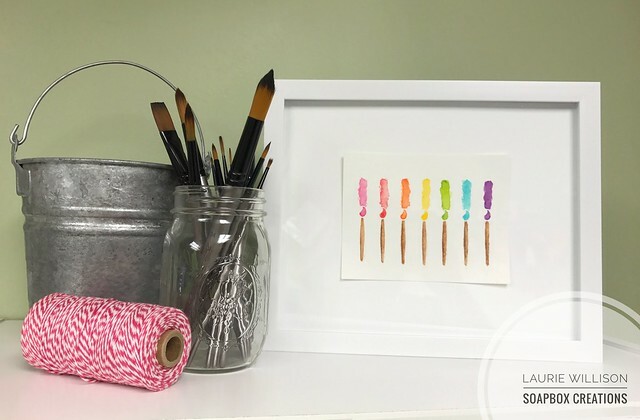 So cute and thanks for the inspiration to create artwork for my craft studio, too. Am never disappointed by your designs. Love those pretty colors! Great card! Very cute decor item you created! 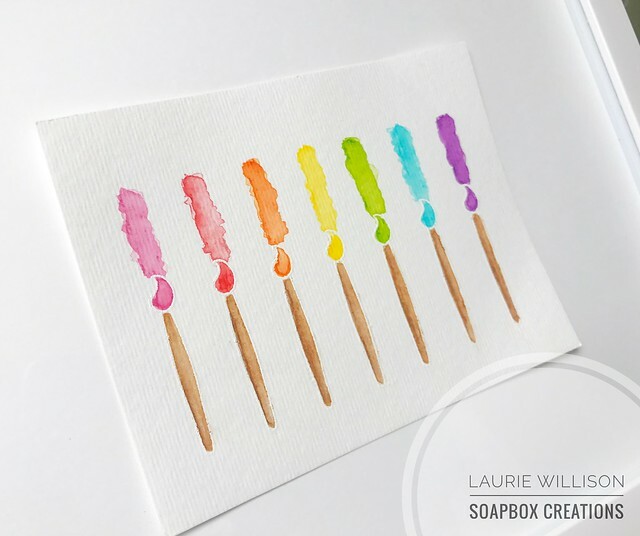 Such a fun idea and I love how you used the rainbow of colors for your design! Such a sweet card, Laurie!